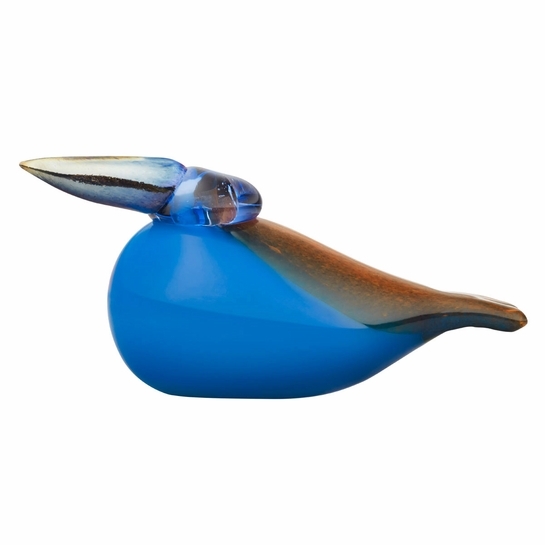 More about iittala Toikka Reissued Kingfisher A re-issue variation inspired by the original 2010 Annual Bird made for the Tacoma Museum of Glass called the Kingfisher (Kuningaskalastaja). The Kingfisher is found in tropical areas and boasts a beautiful color palette to match. Oiva Toikka was inspired by the species' true turquoise color when designing his glass version, and pays ode to its long beak with the artistic addition of a lustrous, iridescent finish.